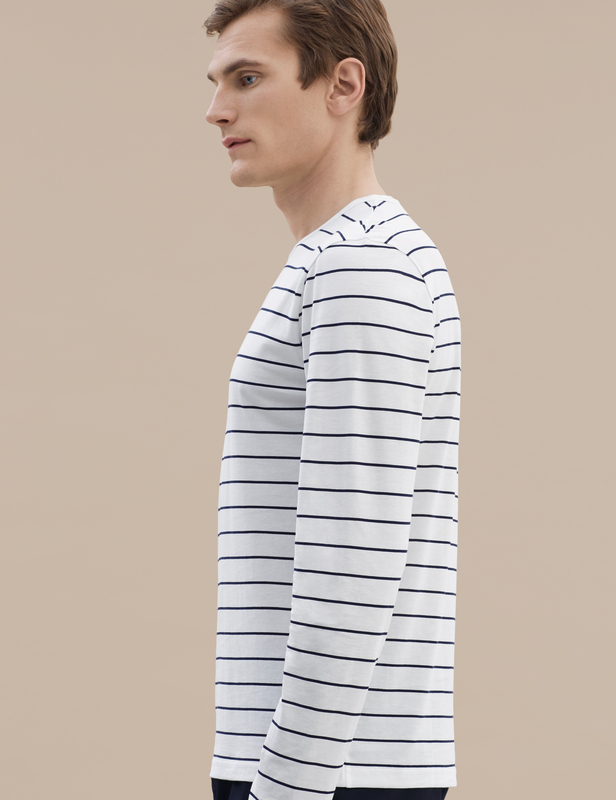 Our first foray into patterns informs of our restrained approach to design. 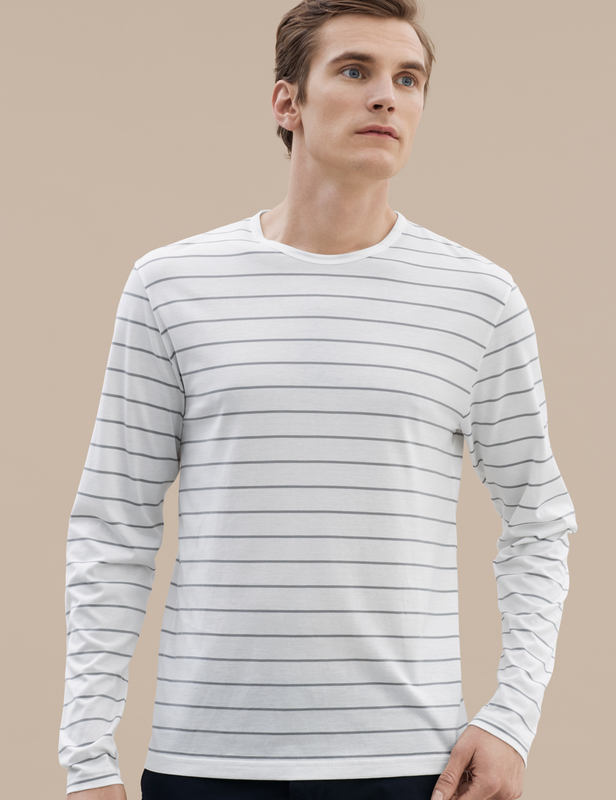 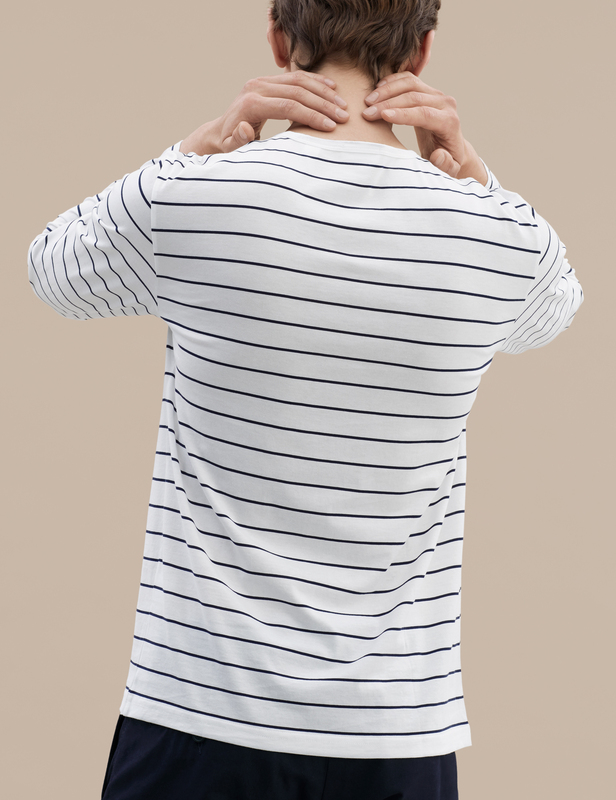 Our long sleeve striped t-shirt is meant to accent, not overpower. 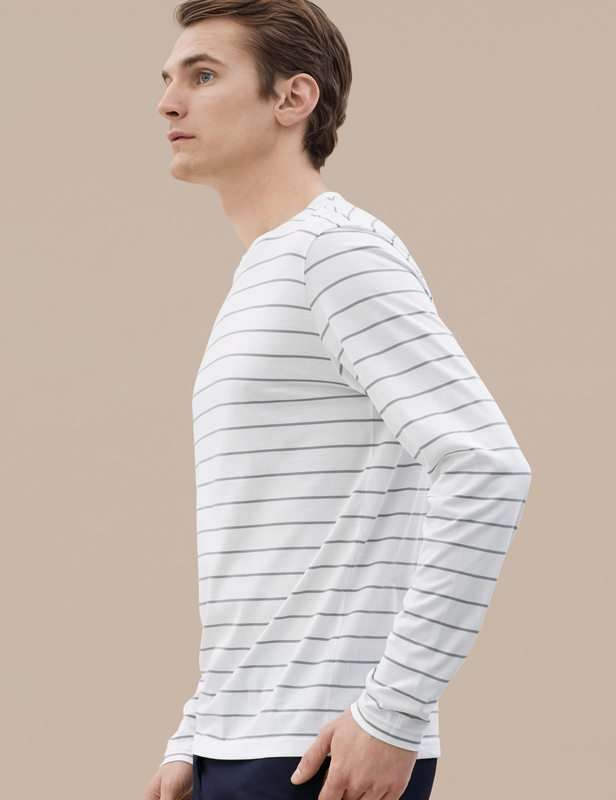 Lightweight and with minimal detailing, this piece is perfect for layering or for wearing on its own.